Description: Mount Meru's conical shape above the clouds, from the trail on the way to Shira Campsite. Guest	 report on Mount Meru. These pictures of the mountain are wonderful! 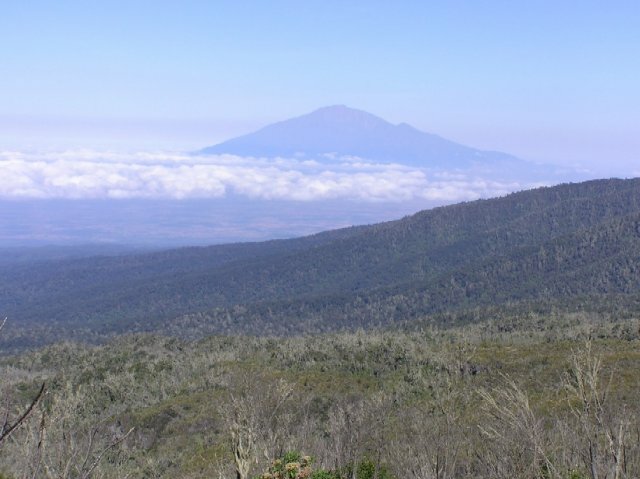 i am doing a report on Mount Meru for a science and social studies grade. I'm in the seventh grade and these pictures are helping me out alot!